No, they're not just for hipsters. Polaroid cameras are becoming more and more popular as talented artists and individuals are looking for more creative ways to use their photography skills. Whether you are a professional photographer, or a passionate amateur, the best Polaroid cameras chosen by the experts will help you practice your art and up your photography game. Here are the best Polaroid cameras selected by the experts. These models either have great features, affordable prices, stylish retro looks or a perfect combination of all three. Understanding what makes these Polaroids so great involves first knowing what a Polaroid camera is, and then comparing and contrasting these highly-rated cameras. Polaroid camera is actually a bit of an outdated term. The Polaroid Corporation patented and debuted the first camera to use the process of instant film in 1948. The process has since been copied by several of its competitors, including Fujifilm and Kodak. The cameras have since been popularly known as Polaroid cameras, but they are also known as instant cameras. They are great for hobbyists or amateur photographers because you can easily share these photos with your friends. It is a particularly popular camera style for parties or events. 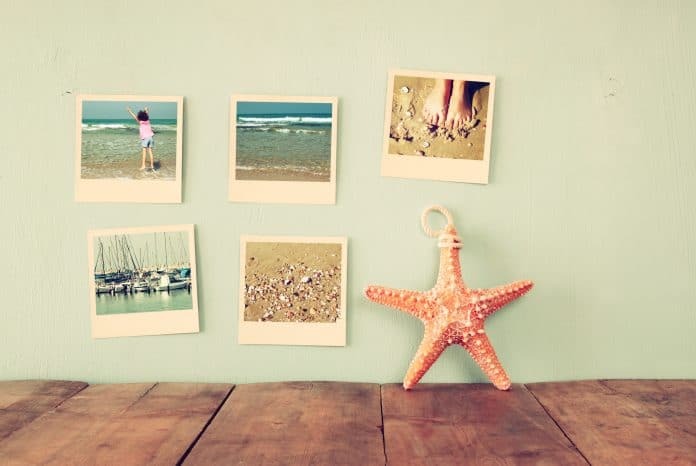 Place a few Polaroids around the room at a wedding, birthday party or get-together and have plenty of great mementos that you and your friends or family can share. Why Isn’t My Film Developing? There’s nothing worse than buying an instant camera only to have the film not develop, well, instantly. While Polaroid film is designed to develop in a variety of situations, sometimes overheating can cause the process not to function correctly. If the temperature is too far over 70 degrees, you may need to cool the film down for a few minutes before it can develop properly. If it is especially hot and you happen to be at home, try putting the film in the refrigerator for a few minutes. This should ensure the film is cool enough to develop. Why Does Polaroid Film Fade? Polaroid film was not meant to last forever, but instead is a unique way to take pictures quickly, develop them promptly and often discard them. As Polaroid film is being used more and more for professional photographs, there are a few ways to keep them for longer periods of time. Well stored, a Polaroid picture can last up to 100 years. First, the oils on your skin can cause your photos to become yellowed. If you are viewing an important picture, be sure to use gloves or only handle the edges. While you are not viewing, be sure to store these images laying flat in a dark, archival album. Try to keep the film within the temperature range of 55 – 82°F. If you are desperate to recover a photo that has already been yellowed, there are some ways to clean it. However, this should be a last resort. Take care to store the images properly to begin with, and you will not need to worry about cleaning. What Features Do You Look for in a Polaroid Camera? White Balance: A camera’s feature that allows you to ensures sharp, vividly accurate colors, rather than more dull or faded pictures. Dynamic Lighting: Deals with the way your camera processes light. It can positively or negatively affect brightly or poorly lit photos. Display: Does the camera have a digital display to check out the pictures before they develop? Some Polaroids also combine the best of both worlds and develop an instant photo while simultaneously saving a digital copy. 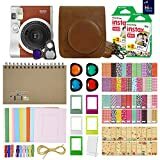 Price: What is your budget for Polaroid cameras? There is quite a range of cameras available, so consider the key features that you are willing to pay extra for. Comfortable: If you are planning on using it for an extended period of time, some cameras become quite bulky or awkward to hold. Choosing a camera that not only looks great but also feels comfortable is crucial to extensive use. Storage: What happens when you take a photo? Some cameras immediately spit the photo out the front, which can often fall or be clumsy when taking many photos at once. Others have a tray to collect each shot, and even save a digital copy in case you need multiple printings of the same great picture. After reviewing the important features of a Polaroid camera, each camera on the list is given a star rating out of 5. This represents not only professional opinion regarding these features, but it also takes into account customer ratings and other professional reviews. This list is a comprehensive and unbiased list. 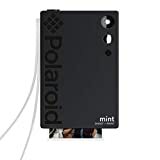 Its purpose is not to advertise a certain brand or model, but to highlight some of the competitive cameras on the market today, in order to give you an informed opinion before purchasing your Polaroid camera. These excellent Polaroid options range from as low as $56 to $389 on the high end. The more expensive options are adequate for professional use with lots of features, and the lower cost models are better for amateurs and hobbyists. An excellent choice for an amateur or budget-conscious photographer, the Instax Mini 9 provides a lightweight, easy-to-use camera at the great price of $49.99. It has a variety of brightly colored options, which mirrors its playful use. It is extremely highly-rated and even includes a selfie mirror in order to take great Polaroid pictures of yourself. It gets 4.7 out of 5 stars. 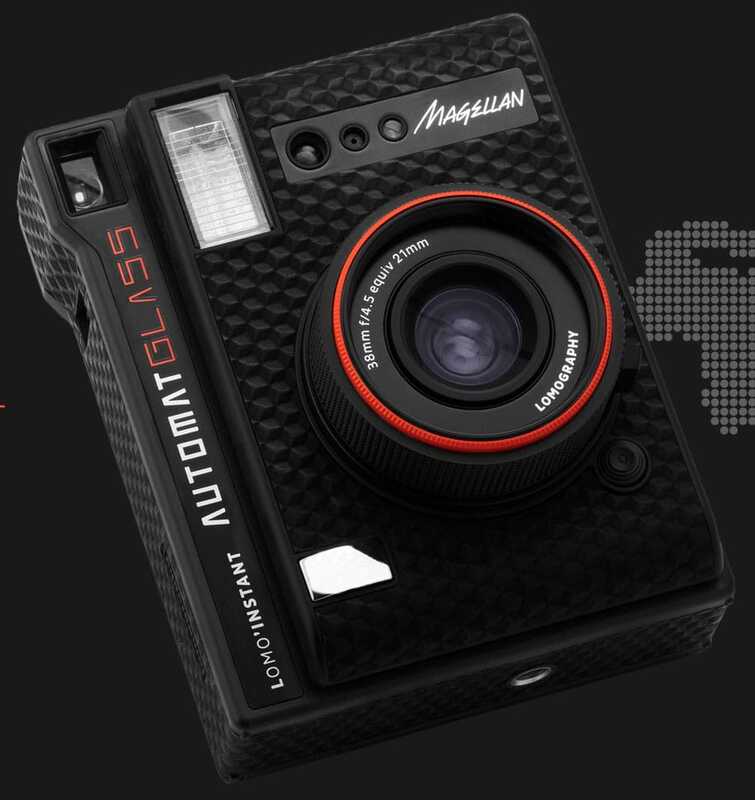 If you are looking for a slightly more professional camera, consider the Lomo’Instant Automat Glass. At $189, it’s a much larger investment, but it has far more features to help you take high-quality pictures. The ultra-wide lens, built-in flash and automatic exposure are all excellent features. This camera also includes a selfie mirror and split frame mask. It’s one of the highest-quality Polaroids currently on the market, but also one of the most expensive. It gets 4.8 out of 5 stars. 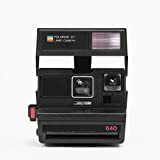 The most expensive and premium Polaroid on this list, the Sofort includes a large variety of modes, including sport and action, macro, automatic and selfie. It has sharp image quality and extremely comfortable grip. $179.99 is a hefty price for a Polaroid, but this investment is well worth it for professional photographers. It only weighs 11.5 ounces and uses AA batteries. This excellent camera receives 4.7 out of 5 stars. Another great budget Polaroid for beginners, the Polaroid Pic-300 is sleek, lightweight and affordable. At Out of stock, you receive a brightly colored camera with several different scene settings. These include indoor, fine, cloudy and clear. There isn’t an LCD display, but the image quality is good for this price range. It doesn’t have the picture size or sharpness that a professional photographer is looking for, but it’s a great gift for family and friends. 4.5 stars. A Polaroid featuring manual controls and focus lens, this professional-grade camera gives lots of flexibility and high-quality images. It uses wide film, which allows for more panoramic photos. It has multiple exposure capability and a selfie mirror. There are various add-ons available, including wide-angle and macro conversion lenses, and a socket for external flash. This camera weighs 3 pounds and costs $99.99, making it far more bulky and expensive than other Polaroid cameras. But, if you are looking for an expertly crafted camera to support your photography career, this is a great option. 4.6 out of 5 stars. This pint-sized Polaroid has a respectable amount of features for its size. The landscape mode and hi-key settings are particularly useful, as well as a retractable lens. With CR2 batteries, it has a great battery life. It also has a selfie timer and a variety of color options. $169.95 makes this a great mid-range model that is perfect for both professionals and hobbyists. It lacks any manual features or extra large print sizes, making it a bit too basic for extended professional use. The Instax Mini 70 receives 4.5 out of 5 stars. At $399.99, this premium-priced camera combines expert features with a retro look. The two lenses are not only for aesthetic purposes, but they also offer manual focus. It has a built-in flash, bright focusing screen, and EV compensation. This top-of-the-line Polaroid is great for professional uses but can be a bit too manual for everyday shots. It earns 4.5 out of 5 stars. If you are interested in the classic look, but not all of the extra features, the OneStep 2 is a great choice. This mid-priced $97.99 option uses a powerful flash and high-quality lenses to provide a great point-and-shoot image. Although it has a great look, it’s a bit more bulky than some of the more modern designs. It’s missing some of the manual adjustments that a more experienced user would need. It receives 4.5 out of 5 stars. The best option for a true retro-enthusiast, the Impossible Polaroid 600 Square has taken the original 80s style and added a few new features. It’s easy to use and can slightly adjust exposure levels. At $119.99, however, you are paying a premium for the aesthetic element. If you are looking for a nostalgic addition to your collection, this camera is a great choice. Otherwise, there are far more comprehensive cameras at this price range. 4.3 out of 5 stars. Here are some at-a-glance stats and features to compare the best Polaroid cameras. Carefully look through the FAQs in order to determine which features are the most important for your uses. Whether you are an experienced photographer or a novice, each camera comes with different pros and cons. Determining the best Polaroid camera requires an understanding of both the features included and the models available. Now that you have taken the time to read through the highlights of each, you can confidently decide, based on your photography skills and needs, what camera is the best for you. 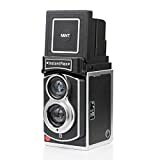 In terms of professional image and functionality, the Lomography Lomo’Instant Automat Glass or the Lomography Lomo’Instant Wide are great options, depending on the size of the image you are looking for. 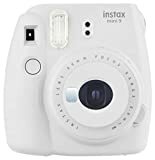 Individuals looking for a bargain-priced Polaroid should look at the Fujifilm Instax Mini 9 or Fujifilm Instax Mini 70 for a great deal. If you are looking for a chance at some nostalgic moments with your Polaroid, check out the Impossible Polaroid 600 Square or Mint InstantFlex L70 2.0. Whichever option you choose, using a Polaroid camera is a great way to take some fun photos with family and friends, or shake things up in your professional photography career.